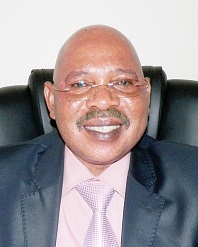 General Haji Abubaker Jeje Odongo is a Ugandan senior military officer, politician and current Minister of Internal Affairs in the Cabinet of Uganda since 2016. Previously he served as Minister of State for Defence from February 2009 to June 2016. He was appointed as Minister of Internal Affairs on 6 June 2016.